Did you know January is Glaucoma awareness month? 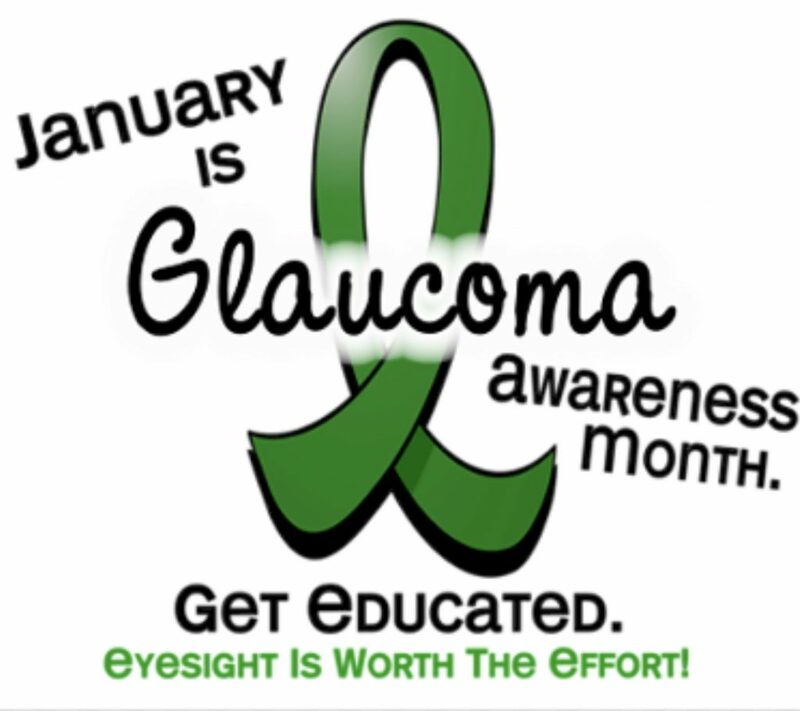 Home » News » Did you know January is Glaucoma awareness month? Glaucoma is one of the most common eye diseases! It has affected nearly 3 million people of ages 40 and older, according to the Prevent Blindness report. “Additionally, the numbers are estimated to increase by nearly 50 percent to 4.3 million by 2032”. Someone who gets glaucoma can have good central vision as it is known to affect your peripheral vision first. January has been given Glaucoma awareness month to help educate the public on this disease including treatments and precautions. Glaucoma is often referred to as the “sneak thief of sight” . Vision changes can occur gradually without pain and can develop in one or both eyes. With our help and on track eye appointments, glaucoma can be slowed with early diagnosis and treatment. Talk with us today to find out if you are more likely at risk, have been diagnosed and or what the right treatment options are for you!